Mineral There are 2 products. 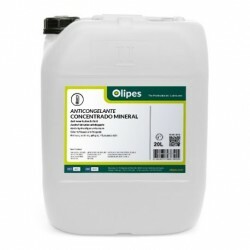 Refrigerante Mineral Concentrado is a concentrated antifreeze fluid-Coolant, prepared for use when diluted in demineralised water in a maximum recommended concentration of 60% of product and a minimum of 20%. 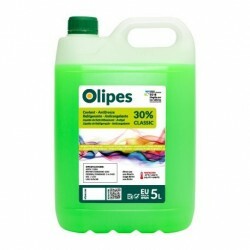 Anticongelante 30% Classic is a mineral bases antifreeze-coolant fluid for direct use, made with glycols, inorganic additives, descaling agents, defoamers and corrosion and oxidation inhibitors free of phosphates, amines and nitrites.